The Mariners and the Public Facilities District agreed in May on terms for a 25-year extension to the team’s lease at the stadium. But the deal is contingent on the county council a proposal to send $180 million in hotel-motel tax revenue toward capital projects at Safeco. A divided King County Council on Monday questioned the Mariners over a plan to give $180 million in public funds toward fixes at Safeco Field, kicking off a debate over whether the money could instead be used on housing. The Mariners and the Public Facilities District that oversees the ballpark had agreed in May on terms for a potential 25-year extension to the team’s lease at the stadium, which expires at the end of this year. But the deal is contingent on the county council approving Executive Dow Constantine’s proposal to send $180 million in hotel and motel tax revenue toward capital projects at Safeco. The council had its first opportunity to publicly vet the plan Monday ahead of a committee vote that could happen as soon as Aug. 29 — and a full council vote in September. The council framed the issue largely as a choice between giving the money toward the stadium or using it to build affordable housing. Under state law, 75 percent of the lodging tax revenues in question will go toward housing and the arts — split evenly between the two categories — and the remaining 25 percent can go toward promoting tourism, such as the Mariners’ ballpark, or something else such as housing. But the most heated part of the meeting came when council member Dave Upthegrove, who is leading the charge against the stadium financing, got a chance to question Mariners executive Fred Rivera. Upthegrove noted the value of the Mariners, now estimated at $1.45 billion by Forbes, has grown by $1 billion in the past seven years. “Given that, why couldn’t (the Mariners) fund these upgrades rather than drain public resources?” Upthegrove said to uproarious applause from the crowd, some of whom noted the team’s majority owner, John Stanton, has a net worth valued over $1 billion. Rivera, the team’s legal counsel and an executive vice president, pushed back, noting that the Mariners were eyeing over $800 million in stadium fixes and upgrades over the 25-year lease and that the team would be paying for the vast majority of it. He said the stadium is a publicly owned facility and added that the Public Facilities District, with board members appointed by the county and state, had agreed to the public-funding request. He also pointed to the team’s positive impact on the local economy and tax base. And he implied the club’s revenues could take a hit in future years as part of the general concern in baseball that fewer fans are attending games. 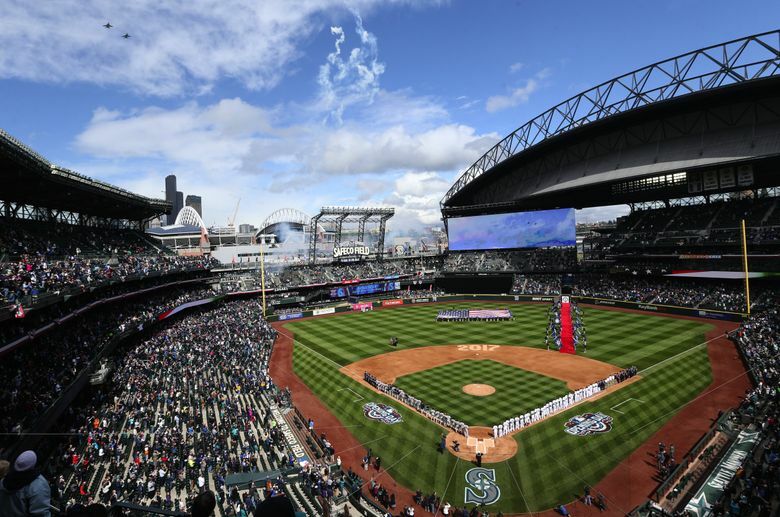 The Mariners say the $180 million in public funding would go toward necessary fixes to the stadium’s roof, electrical system and other nuts and bolts of the park. The team also plans to fund some $180 million worth of upgrades, including new clubs, concessions and kids areas. Councilman Rob Dembowski also seemed skeptical of the Mariners funding plan and asked pointed questions at the meeting. But at least two council members, Jeanne Kohl-Welles and Pete von Reichbauer, appeared supportive of the plan and sympathetic to the Mariners. Kohl-Welles noted the need for more housing but also lauded the stadium as an important asset to fund. “For me it doesn’t have to be an either/or, mutually exclusive situation (to fund Safeco vs. housing),” she said. Von Reichbauer noted that local officials had to battle to make sure the Mariners didn’t move away before Safeco Field was built and added that he didn’t want another “nose-to-nose battle.” He said he wanted to “publicly thank the Seattle Mariners for providing” what he said was one of the the last family friendly destinations in the region and brought up the MLB attendance decline multiple times. “This is still a financial challenge for everyone across the board,” he said. Council President Joe McDermott, along with von Reichbauer and Kohl-Welles, had previously co-sponsored the general resolution on spending the lodging tax funds — the plan that includes the ballpark funding. Other council members in attendance asked mostly neutral questions at Monday’s meeting. The Mariners have said if the county rejects the funding, it would sign a short-term lease to stay at Safeco for up to five years, then go back to the drawing board to negotiate a long-term lease. The $517 million ballpark, which opened in 1999, was funded largely by taxpayers.